Influenced by form, quality craftsmanship, and nature, she is able to turn the landscapes of Canada and earthen materials into contemporary design. Through the creation of wearable art and sculpture, Jocelyn hopes to create a kinship between art, design, whimsy, wilderness, and the daily experience. Most of the work in this exhibition is influenced by the landscapes Jocelyn has surrounded herself by, mainly the Rocky Mountains. Within these landscapes and experiences, nature has always been her greatest understanding of the divine and has always enveloped her in overwhelming emotion. Jocelyn’s aim is not to recreate these experiences but for them to become an experience of their own for the viewer. 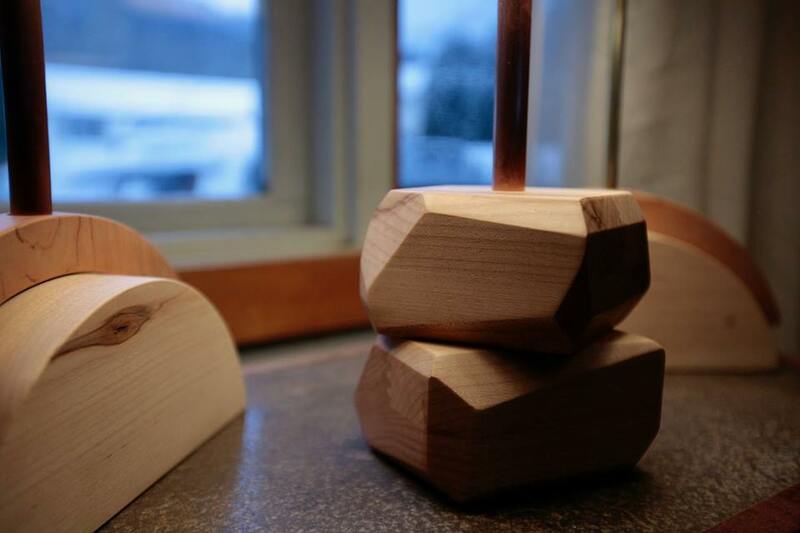 Each piece is handcrafted with care by Jocelyn at her Fernie, BC studio in the Rocky Mountains.